This is a rectangular Hero Bicycles porcelain sign. 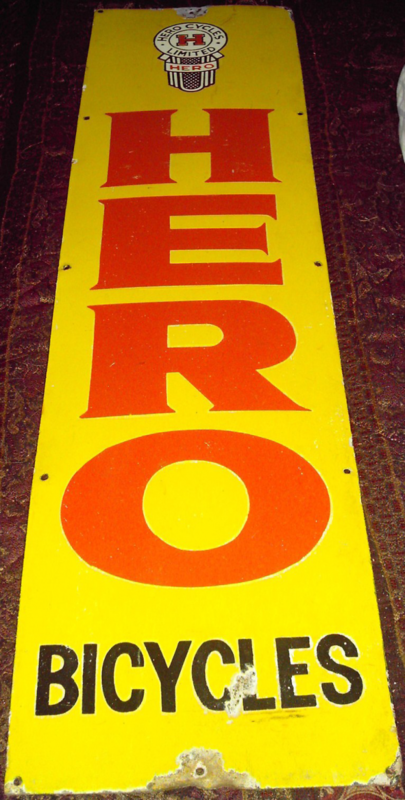 This particular Hero Bicycles sign is yellow with red and black text. It reads, “Hero Bicycles” and features the Hero seal at the top of the sign.